← Epcot Drink & Eat Around The World Challenge – Ranked! Disney World Ultimate Survival Guide! I literally cannot stress this enough. Our first morning in the park we were shocked at how many adults were in wheelchairs and how many pre-teens were in oversized prams, but 2 days later we understood that anymore than a few days at Disney World and you will officially lose the use of your legs. Throughout the day you don’t actually realise how much walking you’re doing, but if you’re at one of the parks from opening to close and standing around waiting in lines, your feet will be in agony! Invest in a good pair of comfortable shoes and you’ll at least be slightly better prepared. Alternating hot and cold buckets of water and nightly foot massages were also a life saver after those long tiring days! 2. BOOK FAST-PASSES AS EARLY AS POSSIBLE! A good backpack is ideal for a day at Disney and, unlike some theme parks, none of the rides insist that you need to stowe it away in overpriced lockers in order to get on the ride. The contents of this bag will become your survival tools, but pack light and only bring the essentials A portable charger is a must, if like me and thousands of others, you own a smartphone that won’t last with all the picture taking and the bored waiting in line social media refreshing. Make sure you charge it up nightly and bring it full and ready to go, because power outlets are harder to find than water in a dessert! Sunscreen, wallet, camera, lipbalm, hand sanitiser, hairbrush, raincoat, gum, park maps and a sweatshirt are my key items for a day at Disney, all of which fitting in a relatively small – but insanely cute (thanks Primark!) backpack. This one sounds like a no brainer, but you’d be surprised by how much difference even arriving 30 minutes after opening makes to your entire day. My advice would be to always get there around 30 minutes before the park opens. That way, by the time you’ve got in line, scanned your tickets etc, the park doors will be open and you can run as fast as you can to the busiest rides to avoid longer queues! I’m not a morning person, so initially, the thought of arriving at the park this early filled me with dread – but in a toss up between waking up a little earlier or adding a two hour wait in line for one of the major rides in the park, I’ll definitely set my alarm with a smile! 5. TAKE NOTE OF BUSY RIDES! There are some rides that will just always have a crazy long wait (7 dwarves, avatar flight of passage, Soarin’ and Haunted Mansion being some of the longest waits in each of the park). However, if you can’t get fast-passes for these rides, make sure you make one of the busy rides your first stop as soon as you enter the park. For example, the moment the doors to Epcot were open, we ran like Usain Bolt all the way to Soarin’ – along with about 50 other people! We were in line and on the ride 10 minutes after park entry, congratulating ourselves when just 30 minutes later – wait times were 2 hours long. Not only was it was our favourite ride of ALL of the Disney parks, but only being in line for a short while made it just that little bit sweeter! 6. DOWNLOAD A WAIT TIME APP! Surprisingly, there are no wait times for rides posted around any of the parks other than outside the rides themselves. While I’m sure this is so that mass crowds don’t charge to shorter waiting times like a herd of wild elephants, it’s still relatively frustrating not being able to decide on what rides next and utilising shorter wait times. That’s why downloading a wait time app or using a wait time website is key. A simple Google search will direct you to a variety of different ones, all pretty accurate and all key when it comes to plotting your next move! 7. BUY MERCHANDISE IN ADVANCE! It goes without saying that all of the merchandise is very appealing, but with a very unappealing price tag attached! Take the Minnie Mouse ear headbands for example, in the park they retail at around $20+ but on Amazon you can buy REALLY good ones for under $5! Some things, like park photos or Harry Potter sweets are more spur of the moment purchases, but if you know you’ll wanna be rocking your Minnie Mouse ears or a cute Toy Story sweatshirt around the park, then definitely save your money and buy before you arrive. 8. AVOID PEAK TIMES OF YEAR! Again, this goes without saying, but at certain times of the year the park will be rammed with people and your experience of Disney will be considerably less enjoyable than it would be had you visited just a few days later. Thanksgiving, Christmas and most of summer are the worst times to visit Disney. However, if that’s the only time you can get off work, try and make your visit a little easier by checking which park will be expecting the most footfall each day. We went a few days before Thanksgiving – and although the footfall predictors can’t be 100% accurate, they did give us a better overview, but still could never have prepared us for the hell on earth waiting times we experienced at Animal Kingdom! This is another money saving tip when visiting the park as food and drink racks up to be pretty expensive, for ultimately is not great quality (milkshakes from the Sci-Fi dine in theater restaurant aside!) If your trusty backpack allows, then definitely pack some sandwiches, or at least some snacks to help you through the day, boost your energy and aid you in avoiding spending an absolute fortune on soggy fries and tasteless burgers! 10. ALCOHOL IS YOUR FRIEND! After, during, or hell, before a long day at Disney, a cocktail laden with as much alcohol as possible goes down a treat! The days are long, the crowds are manic, the sounds of children crying and complaining are on a loop and your patience gets thinner with every ‘wait time: 120 minutes’ sign. It’s times like this that an ice cold beer or an extra large glass of wine is more appealing than you could ever imagine! So there you have it, a comprehensive, step by step (not currently endorsed by Bear Grylls or Jeff Probst) survival guide of how to get through a vacation at Disney World without losing your mind, or the ability to walk. 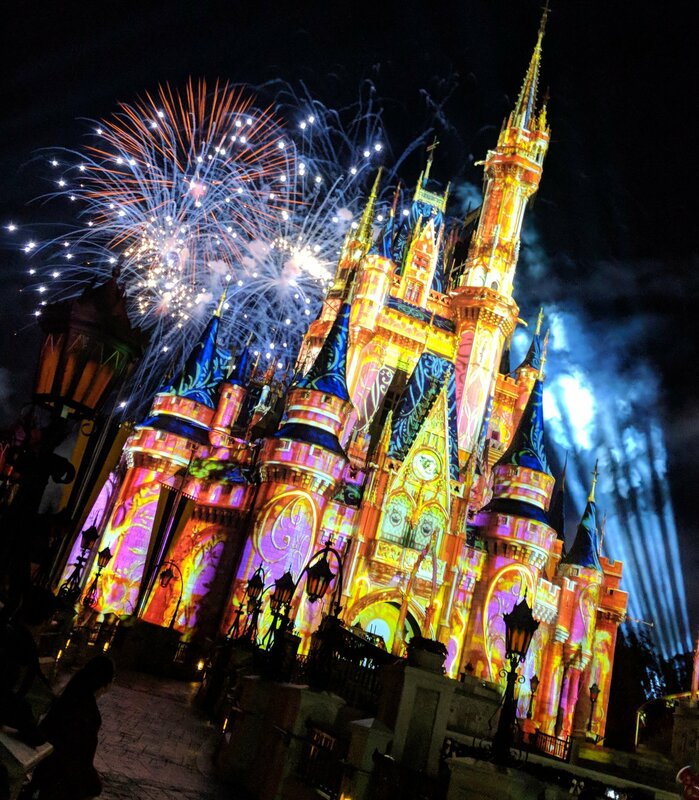 The fun and excitement at Disney is a given, so as long as you expect the not so magical bits, you’ll be as prepared as a seasoned Disney veteran.